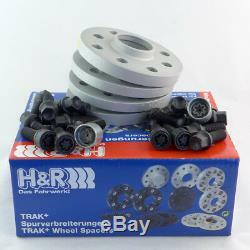 H & R wheel spacers homologation, for audi a5 type b8 30 / 30mm kit sw. This product page has been automatically translated. If you have any questions, do not hesitate to contact us. H & R wheel spacers abe. Follow h & r + wheel spacers provide the sporty look of your vehicle and can be used with the series - as well as with special wheels. Aluminum alloy with high tensile strength. Protection against corrosion by anodic oxidation coating. Compatible with standard chassis or sports. Including mounting hardware and high quality rim locks. 4 scheiben +16 bolzen +4 schloßbolzen +2 adapter. 5x112 mm / 66.5 mm. Verbreiterung pro achse / rad. 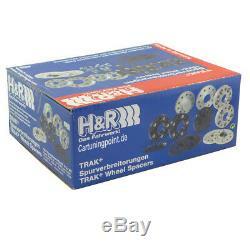 The item "h & r wheel spacers homologation, for audi a5 type b8 30 / 30mm kit sw" is on sale since Sunday, December 31, 2017. 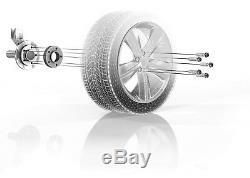 It is in the category "auto, motorcycle parts, accessories \ auto \ tires, rims "track wideners". The seller is "cartuningpoint" and is located in schwerin, mecklenburg-vorpommern. This item can be shipped to the following countries: America, Europe, Asia, Australia.